Pretty impressive stuff, at least on paper. Luckily, it seems like it’s just as good in the real world. 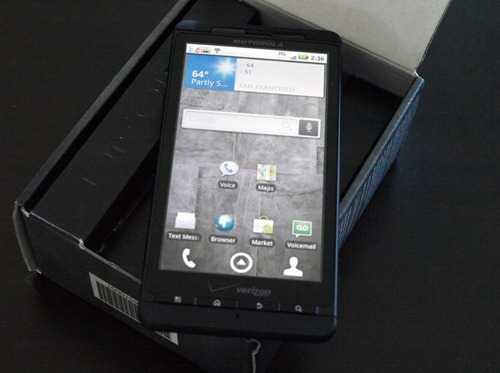 ... the Droid X becomes a much less magical phone than the Droid was. It's good, and it's a pretty enjoyable execution of Android 2.1, but it's not a must-have phone -- especially in light of the Droid Incredible and the upcoming Droid 2. From a hardware perspective, this phone is pretty much a bang-on execution of what a high-end mobile powerhouse should be, but Motorola clearly still has work to do in order to play in the same software league as HTC does with Sense. If it can get there -- or heck, if it can just offer this phone with stock Froyo -- you've got perhaps the best Android phone ever made. 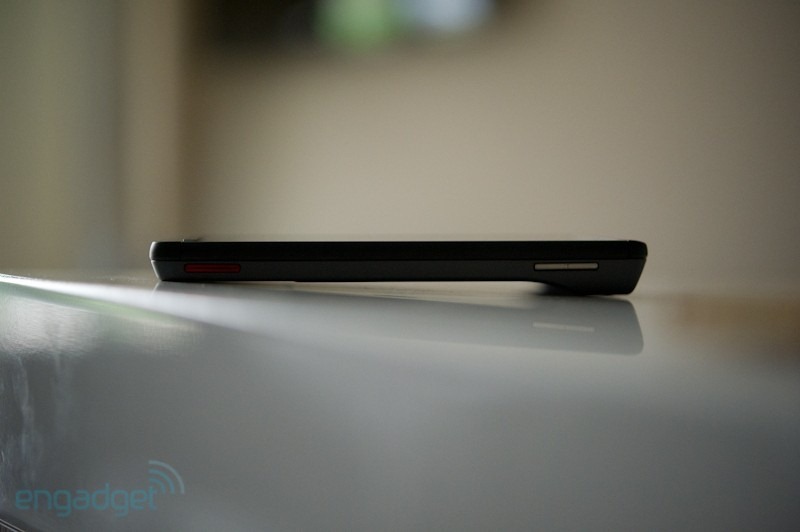 They also have sample photos and videos shot with the Droid X in the full review. Consumer Reports did a video review/comparison between the Droid X and iPhone 4. Yea, that sounds pretty lame when you’re reading it, but in reality it was executed very well (although, *spoiler* unsurprisingly, they decide that they’re both winners). If you’re only going to watch 1 video review, make it this one. It’s not nearly as in-depth, but it’s good and it clocks in at just over three and a half minutes (and hey, considering that these guys are full-time nerds, the acting isn’t half bad and the narrating is decent). Phandroid’s review is fairly in-depth (though not as in depth as MobileBurn’s). They have a video to review the hardware, one to review the software, one on the camera and camcorder (and an additional sample shot with the X), and one for “multimedia and more.” This is all in addition to their text review. Again, I reiterate – this is a pretty in depth review. 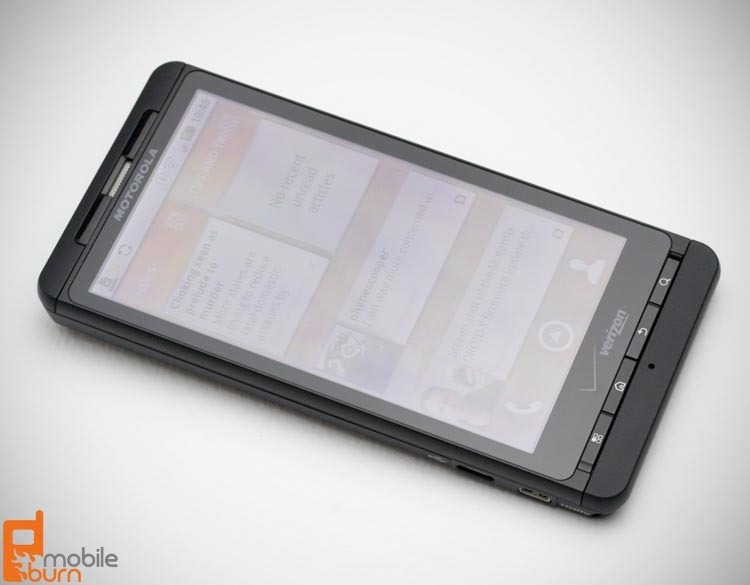 The fact of the matter is that the Droid X sits comfortably amongst the smartphone elite. The combination of pure hardware power, Android awesomeness, and software goodness mean that today it is one of – if not THE – best phone(s) available. We now live in a smartphone age where many “something better” devices eagerly wait in the wings, but here and now the Droid X can successfully claim there isn’t a better phone available. And even when there is… the Droid X will continue to please its owners with its capabilities, especially if the powers at be bless it with continued OTA updates. 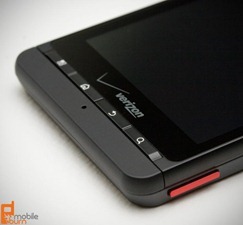 In short: the Motorola Droid X for Verizon Wireless comes highly recommended. Whatever sports metaphor you want to apply is appropriate for the Droid X, as Motorola hit a home run/slam dunked it/won the World Cup with this flagship handset from Verizon. It sports a lust-worthy design, has all the features you’d expect from a top-shelf smartphone, the software is really good and it’s relatively future proof for upcoming versions of Android. If you’re on Verizon and are eligible for an upgrade this year, there’s no reason to not buy the Droid X when it comes out July 15, even if you’re a fan of physical keyboards (the virtual one is just that good). It’s even good enough to lure Apple iPhone owners over to the dark side. Yup, they think it’s pretty much the best thing since sliced bread. MobileBurn’s review is almost obscenely long, spanning 7 pages total. Their take? I really like Verizon's Motorola DROID X. It's just not for me. I like hardware keyboards for the work I do, and I like the phones to be smaller so that one-handed operation requires no juggling. 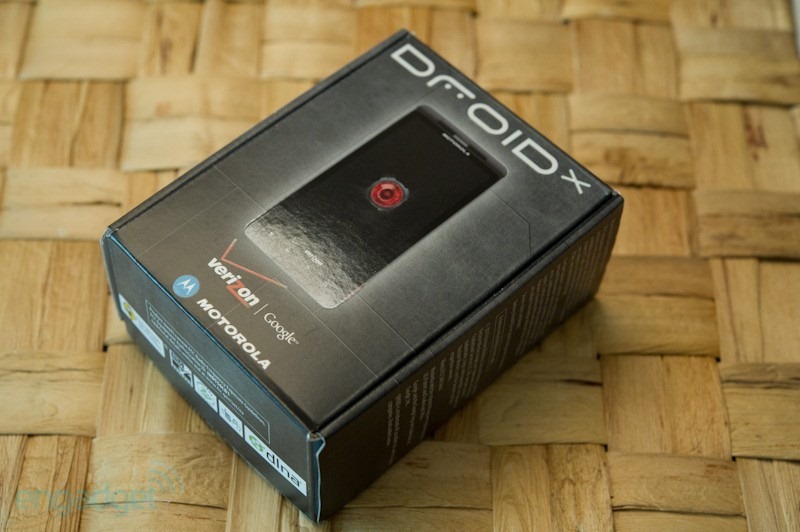 But I know there are a lot of people out there that just want a bigger display, and the DROID X delivers that with plenty of other enhancements that I am hoping to see on other Motorola smartphones soon. The DROID X's display is nice (and huge), the multi-touch keyboards are the best available on Android today, and the phone shoots great HD video. Those are all strong selling points, and there are few real downsides to the phone at all. It's sure to cause some real teeth gnashing for Verizon customers when they have to choose between this device the the equally capable HTC DROID Incredible. To summarize, he thought the phone was great in theory, but in reality, it just wasn’t ideal for his needs. All in all, it looks like the Droid X is a great upgrade for Droid owners, and a great phone for those looking to join in on the Android parade on America’s largest network. Is it better than the Incredible? Engadget and MobileBurn seem to think that’s debatable, while Phandroid and IntoMobile say, “Hell yes.” There’s no definitive answer – the best way to decide is to go look at them, play with them, and decide based on personal preference.